GE’s appointment of a woman, Jamie Miller, as CIO — replacing Charlene Begley, who resigned for medical reasons — has led to new focus on female CIOs. However, messages are mixed about whether the number of women CIOs is hopeful, whether IT is good for women, where it’s expected to go, and whether women should see CIO as a stepping stone or a dead end. But other articles haven’t sounded so good. Last July, CIO noted that, for the second year in a row, the number of women CIOs in the United States has declined, citing the 2012 Harvey Nash survey of CIOs and senior IT executives. In fact, 93% of the respondents to the survey were male, compared with 92% in 2010. 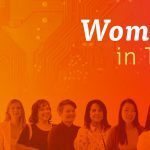 Moreover, the number of women in technology is small — women make up half the U.S. workforce but only 25% of the technology industry, notes Michael Friedenberg in CIO. It’s getting worse. Between 2001 and 2010, the share of women in high-tech jobs dropped from 25.6% to 23.9%. The 2012 Nash survey found 35% of CIOs saying there are no women in IT management roles in their organization, and for 46% of CIOs, less than a quarter of their IT management roles were women. 24% have no women in their technical teams; for 45% of CIOs, women only make up about one quarter of their technical team. The number of women studying technology is declining as well. “Since peaking at around 30% in the late 1980s, the portion of engineering schools' undergraduate degrees that go to women has fallen to 18%,” Friedenberg writes. Of those, less than 11% were in computer science, that organization notes. And let’s check out that hopeful Wall Street Journal report. If women CIOs in Fortune 100 companies are doing “well” at 24% — and remember, that’s just 100 companies, meaning a total of 24 female CIOs — that’s only in comparison. Only 10% of CFOs and 7% of CEOS in the Fortune 100 are female. Another study reported on in the Wall Street Journal found women comprise just 14% of executive officers, and that “nearly 73% of Fortune 500 companies now have at least one female executive officer” — meaning 27% of Fortune 500 companies had no women executive officers at all. Things don’t get better as you go down the list; in the Fortune 250, women fill 48 CIO spots, or 19.2%. (Plus, that was an improvement — it had been 10% a few years before, notes Bloomberg.) In smaller companies, women are even less likely to be CIO; when you look at all companies, the percentage of women CIOs drops to 7%, according to Fortune. Then there’s the issue of whether CIO really is a stepping stone to the CEO chair. While investors are pressuring boards to hire more women who could be CEO, getting to CEO from CIO can be challenging. In 2011, IT Business Edge noted that 29% of current CEOs came from the CFO, while 23% were previously COOs. Just 4% of CEOs had been CIOs. The second Wall Street Journal article blamed a lack of profit-and-loss experience, with IT Business Edge reporting that 53% of survey respondents saw CIO positions as support rather than as a core business area.